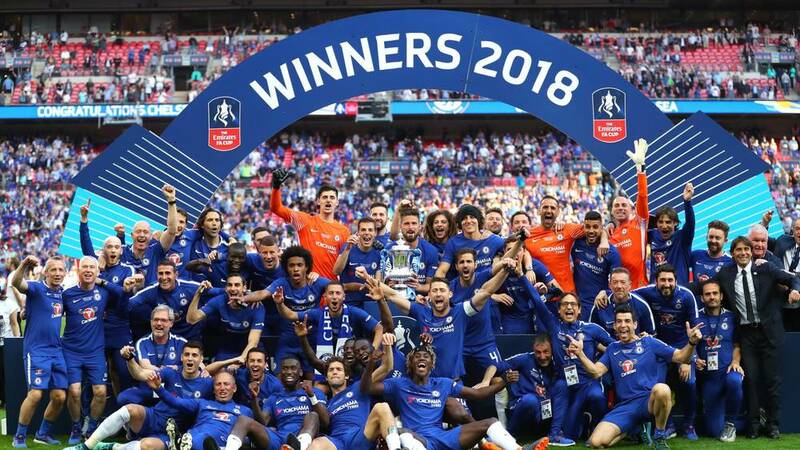 There’s only three months to go until this season’s FA Cup winners will be decided and the number of clubs still in the running for the trophy is about to slashed from sixteen to eight. So which teams’ fans will be on tenterhooks during the next few days – and has the fifth-round draw provided any giant-killing opportunities for lower division clubs? Part of the FA Cup competition’s enduring appeal is that there’s always a possibility that teams in the lower leagues (and even non-league clubs) could enjoy fairy-tale campaigns. This year, the lowest ranked team to have made it through to the last sixteen is Newport County, who are currently in 15th position in League 2. The Exiles’ most successful FA Cup run prior to this was way back in 1948-49, when they were knocked out by Portsmouth in the fifth round. This time, they’ll be taking on the reigning Premier League champions, Manchester City – so could they defeat the Sky Blues and move one step closer to making their dreams of seizing the famous domestic football trophy come true when the teams meet at Rodney Parade on Saturday? While anything can happen in the FA Cup, one thing we know for certain is that one of the three highest ranking Premier League clubs in the competition will be exiting the trophy race in this round. Chelsea will be playing Manchester United at Stamford Bridge at 19.30 on Monday 18th February – so will it be the Blues or the Red Devils who progress? Manchester United have achieved some great results since Ole Gunnar Solskjær took the helm. However, could their confidence going into the match against the team who defeated them in last year’s FA Cup final have been damaged by their loss to PSG in their Champions League meeting earlier this week? The Remaining Ties – What Else Does The Fifth Round Have In Store? The opening match of the round is set to take place tonight, with QPR and Watford kicking off at 19.45. Tomorrow’s FA Cup fixture list features Brighton & Hove Albion vs Derby County and AFC Wimbledon vs Millwall, in addition to the Newport County vs Manchester City tie. If you have access to BT Sport 2, you’ll be able to watch Bristol City take on Wolverhampton Wanderers at Ashton Gate at 13.00 on Sunday. BBC One will then be broadcasting Doncaster Rovers vs Crystal Palace at 16.00, while BBC Wales shows the Swansea City vs Brentford tie which kicks off at the same time. So, which clubs do you think will grab places in the 2018/19 FA Cup quarter-finals? Join the conversation on Twitter or Facebook, or share your thoughts in the comments section below.